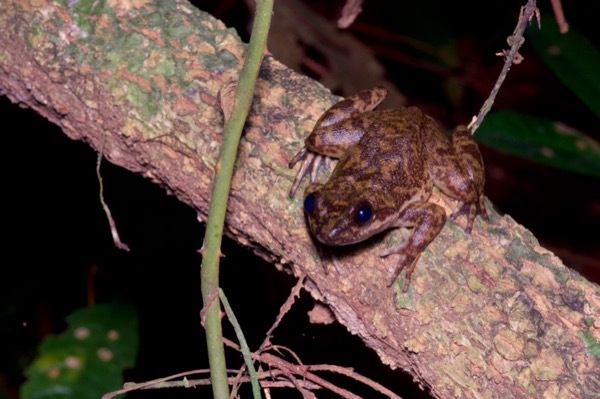 This is almost certainly the most endangered species of frog I've ever seen. 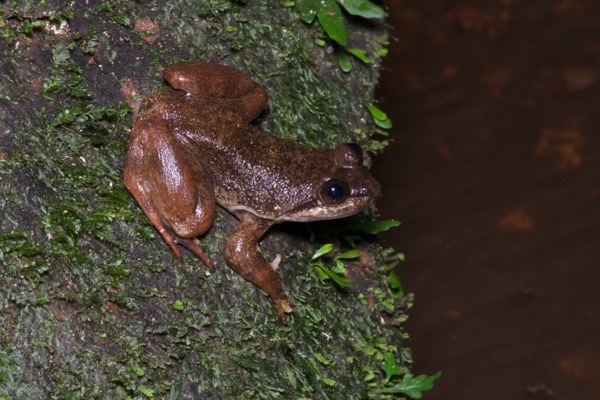 These are currently classified as Togo Slippery Frogs (Conraua derooi), which are known from only a handful of locations and considered critically endangered. 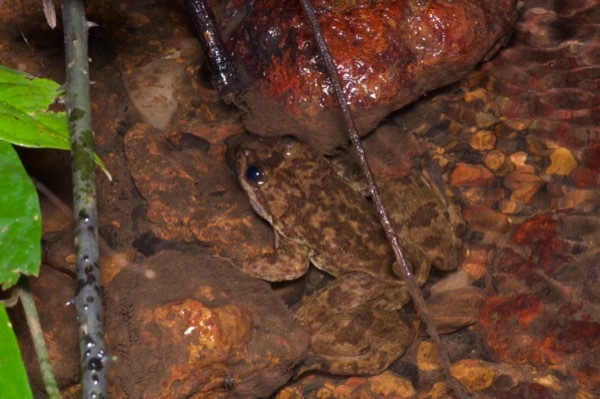 But Ghana frog expert Caleb Ofori Boateng, one of the leaders in the effort to save the habitat of this frog, told us that recent genetic studies have shown that the frogs known from this one location in Ghana are distinct enough to be a separate species (and thus, obviously, even more critically endangered than Conraua derooi itself).